You can tell by the look in his eye and how he delivers his cleverly written lines by Woody Allen that Colin Firth totally gets it, doing the lead as “Stanley” in Allen’s new movie, “Magic in the Moonlight.” Firth knows that a lot of what this entertaining picture is about is to poke fun at the upper class — but when does Woody Allen not do that? Stanley is a very successful magician of the late Twenties who masquerades as an Asian entertainer. But he’s actually a prim and proper, well-educated, agnostic Englishman who is, insufferably, the world’s most annoying perfectionist. 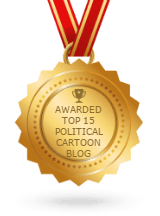 And besides that, he has all the tact of Don Rickles emceeing a celebrity roast on cable TV. 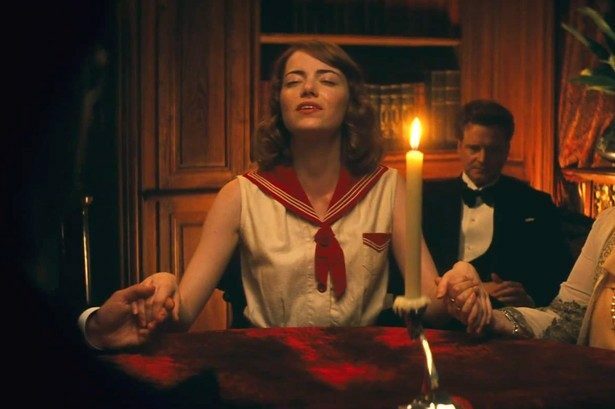 An old magician colleague of Stanley’s puts him up to checking out the veracity of a young woman from “The Colonies.” The irrepressible up and comer, Emma Stone, plays “Sophie” who’s from Kalamazoo. She presents as a for-real psychic. Sophie seems to have the goods on anyone she’s around. How does she do it? Simon McBurney plays Stanley’s magician pal, “Howard.” Howard sets up Stanley as someone other than an illusionist in the entertainment biz so as to not put Sophie on her guard while Stanley runs his check on just how genuine this pert, young American woman is. Sophie has her mother in tow. Marcia Gay Harden plays mom. Mother and daughter join the two magicians at Stanley’s aunt’s nifty digs in Provence. “Aunt Vanessa” is played by Eileen Atkins. 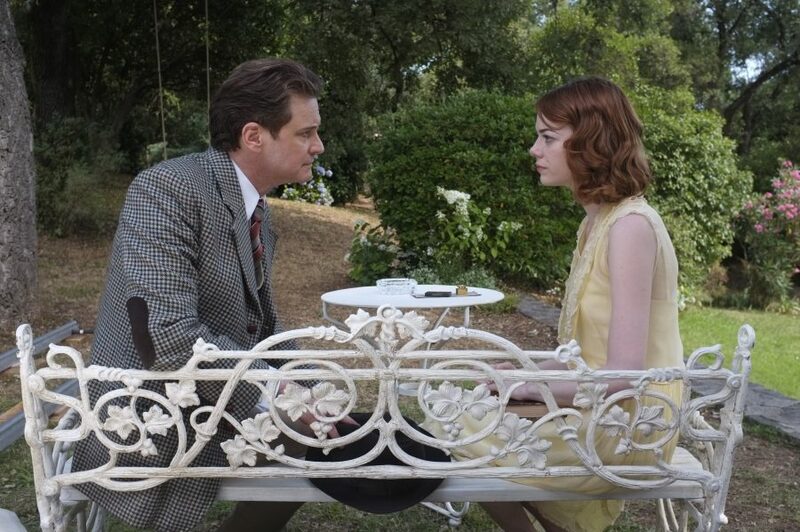 Watch for a great dialogue between Ms. Atkins and Firth toward the end of “Magic in the Moonlight” when a summing up, so it seems, takes place between whether Stanley should continue in a relationship with his fiance back in England or shift gears and propose to Sophie. 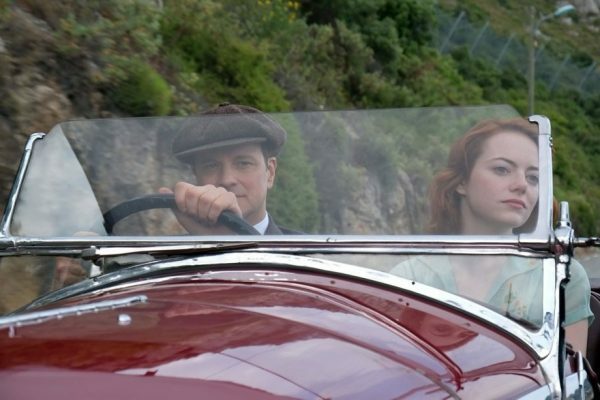 Fashion and cars are at the forefront of this photo play with Firth in command of just the right apparel to wear and when; as well as what kinds of cars a man must transport himself and his friends about Provence, especially when motoring the Mediterranean coast. Then there’s the early 20th century jazz and love songs you always get in an Allen picture with delicious dollops of Stravinsky and earlier heavyweight composers of the 19th. To make you feel really in the decade that roared, Sophie’s newly encountered love interest on scene for the leisure that’s abundantly taken is “Brice,” played by a perfectly cast Hamish Linklater. If you enjoy hearing a young lovestruck man sing and play his ukulele for the woman he’s fallen for, you won’t want to miss this Allen take on life in the upper crust just before the Crash. 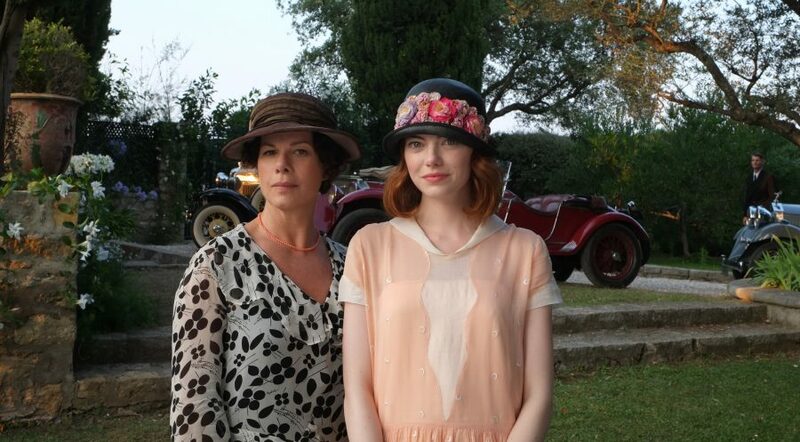 The story in “Magic in the Moonlight” is played as high comedy (which I love), but it comes off slightly flat. And despite the grand scenery, clothes and music, the narrative could go just as nicely as a modest stage play down the street in your own home town.